We have a range of washroom systems designed especially for educational establishments, whether it be pre-school or higher education we can provide a suitable system for your building. With years of experience working alongside schools and colleges we can create the perfect washroom for fast-paced enviroment. The little gems range of cubicles are designed for pre-school, nurseries and infant schools and provide a fun washroom experience. Along with the little gems are storage and furniture to match. Shown on the right is a chair with storage on the back for packed lunches/stationary etc. The chair has been quite popular as parents, teachers and the children all seem to love it. For higher education we have cubicles for both wet and dry enviroments to suit the different establishments around, all our cubicles come in the standard ranges shown in the products section or you can have a bespoke system for a more unique look. If you are unsure about what you sepcifically need for your educational building then please give us a call on 0116 277 7771 and our staff will be happy to talk you through the many options we have available. The little gems range comes in 3 different options, more information on these can be found under the products > cubicles section. This chair is part of the little gems Lillia range (shown above), it is high quality and rigid and does not topple over very easily keeping it safe for children. The chair comes in a range of colours (bespoke units can also be provided). The back has a storage compartment that can easily store a childs lunch/stationary and any other items they may wish too. 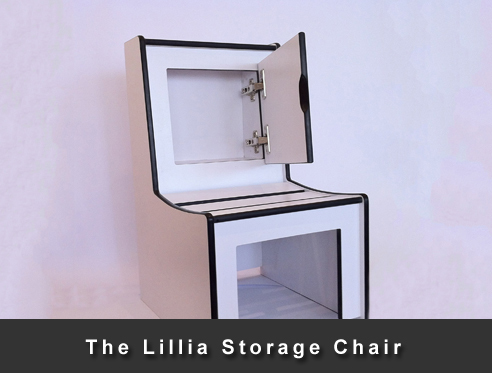 For more information on the Lillia Storage Chair please contact us and our staff will be happy to help. At Oliveti Cubicles we can provide you with a high quality facility that will last. To compliment our washroom systems we also provide lockers and bench seating to specific standards needed for your organisation. You can view our lockers and bench seating sections for more information. Our lockers are of high quality and very secure. Bench seating are of different sizes to suit different ages and heights.